We are looking for those able & available to join us May 24-26 in Oroville for Feather Falls Renaissance Faire. We need volunteers for the entire time. If only available Friday evening through Sunday evening that is okay as well. On Friday, May 24th, we will be setting up the yard & back encampment starting around 1pm. 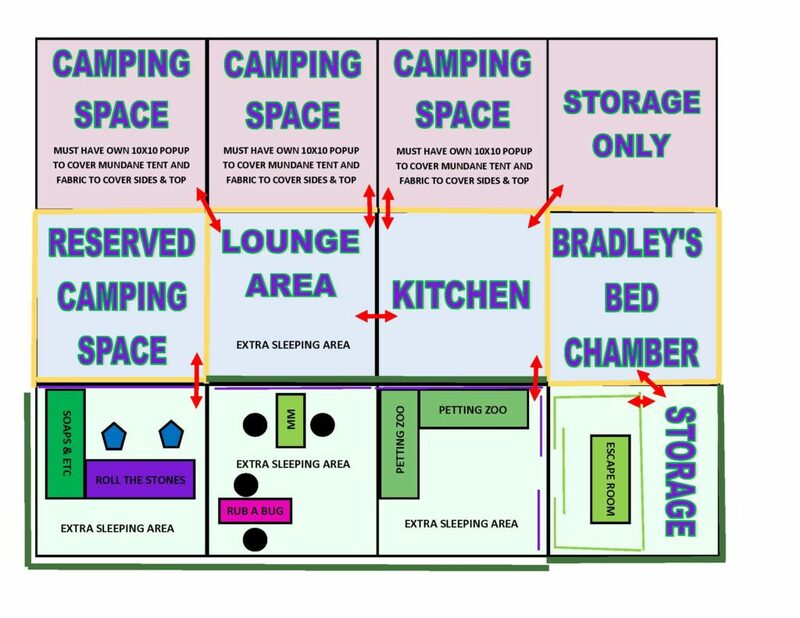 The yard combines the front end for the activities with the back encampment right behind using 10×20 carports in the front & popups in the back. Around the encampment we will be hanging canvas walls & tapestries. Inside the pavilions we will be setting up tables for the activities, hanging up tapestries & decorations, and getting the yard ready for Friday morning. On Saturday, May 25th, we will be running the activities in the yard for visitors. On Sunday, May 26th, we will running the activities in the yard for visitors and at the appropriate time start soft tear down by packing up the back area and slowly packing up the activities until it’s time to break it all down to pack up.